We are grateful to all our partners for their valued financial and in-kind contribution and support, without which the Be.Bendigo Invention + Innovation Festival would not be possible. We are fortunate to benefit from their passion and commitment as we develop a collaborative network of organisations with a common aim. Together we are changing the narrative around the role of regional Australia in the future of our country. In 2016 Be.Bendigo and the City of Greater Bendigo saw an opportunity to increase the impact of the Bendigo Inventor Awards, which had been hosted by the City since 2010. in transitioning the program to Be.Bendigo, the City and Be.Bendigo shared a vision to develop Bendigo's innovation ecosystem. Be.Bendigo had already shown leadership in this space through the Smart Cities initiative, and in 2016 saw an opportunity to continue this leadership by taking on stewardship of the Bendigo Inventor Awards. As the original hosts of the Bendigo Invention + Innovation Awards we are grateful to the City of Greater Bendigo for their continued support of the program as we develop it in new directions. The Victorian Government has taken the lead in establishing Victoria as the "Innovation State", and we are excited to work with with the Victorian Digital Innovation Festival in promoting regional Victoria's thriving innovation scene. La Trobe University has had a long association with the Bendigo Invention + Innovation Awards and we are pleased to be working closely with La Trobe University as we expand the program in new and exciting ways. 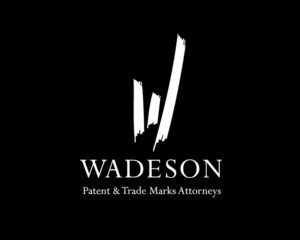 Wadeson bring a wealth of knowledge and experience around intellectual property, design, trademarks and mechanical engineering and we are extremely fortunate to benefit from their valuable insight. With corporate values around innovation and environmental responsibility, Mandalay resources are a perfect fit as our Environmental Sustainability Category Partner. With a new state-of-the-art hospital recently opened and a new Health Accelerator launching later this year, we are excited to work with Bendigo Health once again to offer a prize for innovation in Health. We are extremely fortunate to have our new Tech School in Bendigo, enabling our youth to develop the advanced STEAM knowledge and skills and entrepreneurial mindset that Victoria school students need to flourish in the rapidly changing global economy. We are thrilled to welcome back Goldfields Local Learning and Employment Network for a third year as the Event Partner for the Festival of Failure.